What a year it has been for us at ArtWorks! We completed 31 projects and 34 murals this year, sewed hundreds of capes through our Hero Design Company, and helped transform the lives of 175 Youth Apprentices and 69 Artists and Designers. Igniting a passion and excitement in our city. During this time of giving, we hope that you consider ArtWorks, to help us continue to transform people and places through investments in creativity. We invested almost $800,000 into the paychecks of Artists and our Youth Apprentices by paying them a living wage of $10.44 an hour. We are one of the largest leader’s regional employers for emerging talent and visual artists. We take pride in that investment. 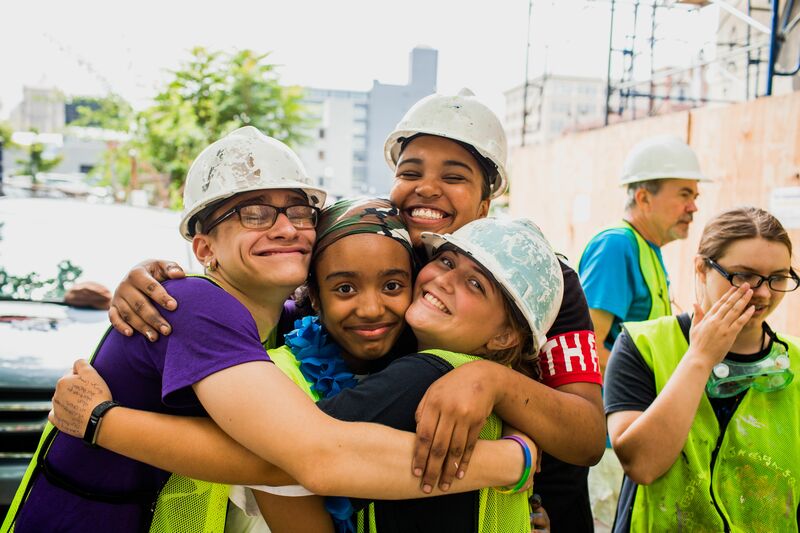 Armed with the amazing artists’ designs, thousands of gallons of paint, lots of scaffolding, and plenty of moxie, we’ve made a more welcoming city. A city that gets noticed as one of the New York Times’ 52 Places to Go in 2018. “Beautification is just a side effect of teaching children from all over the city the value of diverse team building,” wrote a New York Times reporter about ArtWorks mural program. And we aren’t done yet. We are looking forward to 2019! ArtWorks is proud to again be one of the 5 partners bringing BLINK to light Oct 10-13, 2019. And we’re grateful for ArtsWave to be illuminating next year’s event. 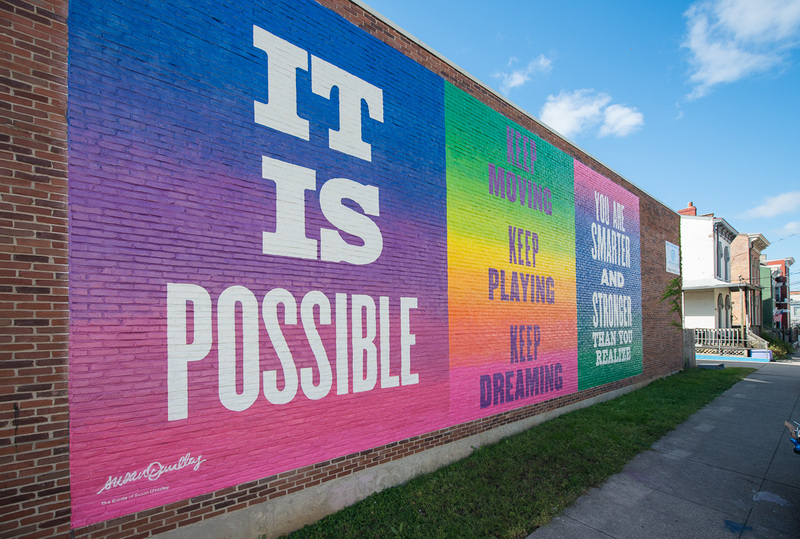 Don’t forget, you can always support our mission and enjoy our beautiful murals through our book, Transforming Cincinnati. 192 pages of photos featuring our murals from the beginning of our mural program in 2007 through 2017. You can find the book at local retailers and Amazon.